The City of Alameda announced on February 22 that it will be preparing an environmental impact report (EIR) on the Department of Veterans Affairs (VA) project for a health clinic and columbarium cemetery at Alameda Point. The VA completed its environmental review for the project in 2013. The deadline for commenting on what the city should evaluate is March 22. The belated environmental review was triggered by California regulations requiring a state EIR in order for the Regional Water Quality Control Board to approve the VA’s wetland mitigation plan. The Navy will implement the environmental remediation plan for Site 32 on the western end of the former airfield. The plan calls for covering the entire 60-acre site with three free of clean soil without raising the elevation of the existing wetlands. Thus, the existing wetlands will be excavated to a depth of three feet, and then three feet of replacement clean soil will be brought in to re-contour the wetlands. 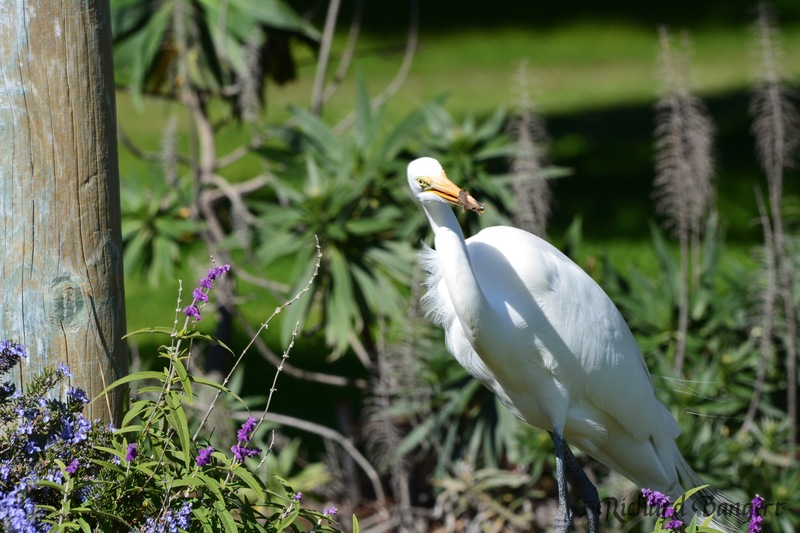 Great Egrets are commonly seen wading along a shoreline, in marshes and wetlands waiting for fish to come near before catching them with a quick thrust of its bill. Great Egrets primarily eat small fish. However, their diet can also include reptiles such as lizards, amphibians, birds, small mammals, shrimp, worms, dragonflies, beetles, water bugs, and grasshoppers. This particular Great Egret decided to stroll into the old campground at Alameda Point in search of food. It walked slowly up to a Rosemary bush and stood there for about five minutes, occasionally making slight head movements, before plunging its head into the bush to catch a lizard. After holding the lizard in its bill for a few minutes, it gulped down the lizard and proceeded very slowly to another bush. The Navy is nearing completion of plans for a cleanup area called Site 32, 60 acres that lie on the old airfield west of where the monthly Antiques Faire is held. The site requires remediation because investigators discovered radium-226 in the soil and on various objects. The Navy mixed radium-226, a naturally occurring mineral, with paint to allow dials and markers to glow in the dark. Repeated exposure to high levels of radium can cause cancer. 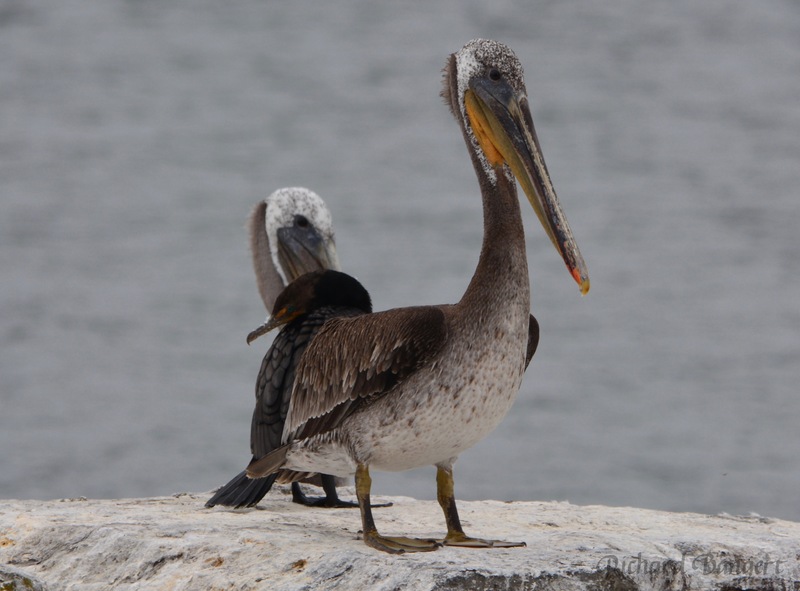 Pelican and cormorant on top of jetty at entrance to Seaplane Lagoon. 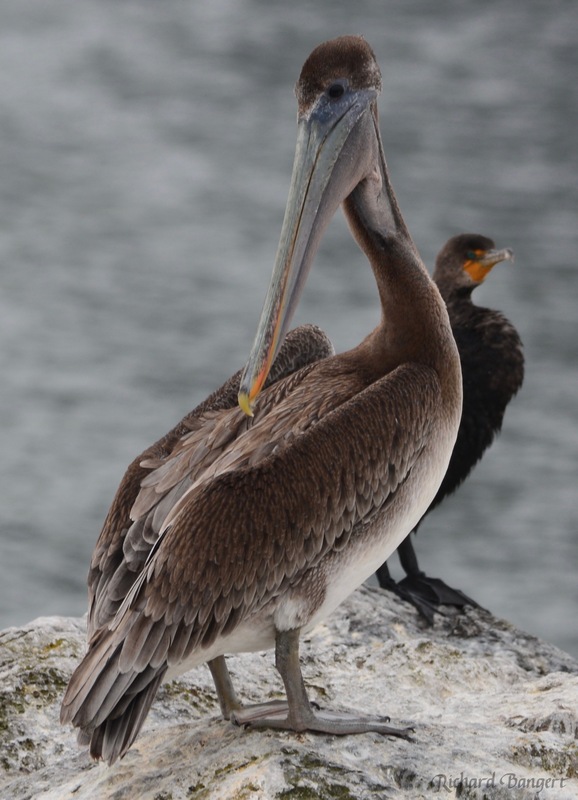 California Brown Pelican, juvenile, one or two years old, as indicated by all brown head, with Cormorant on Seaplane Lagoon jetty. Bay Area Rapid Transit (BART) staff are in the early stages of planning for a second tube across San Francisco Bay. One of the routes being considered is under Alameda and would bring with it at least one station. It could also bring Amtrak’s Capitol Corridor train service running in tandem with BART trains across the Bay.